Are you a property developer? If you are, we can provide bespoke Rights of Light Insurance for property developments across Staffordshire, across the West Midlands or in fact anywhere in the United Kingdom! Right of light refers to natural light illumination, so for example you can’t build something that will deprive neighbouring properties of light. Did you know that a person’s right to light is protected under common law, adverse possession and in England and Wales by the Prescription Act 1832. We know this because we are experts in all types of property insurance and Right of Light Insurance is part of our portfolio of knowledge and expertise in this sector. We don’t expect our clients to be experts in insurance, that’s what we are here for, so our advice to property developers is to give us a call and we will be able to advise you on your legal obligations with regard to Right of Light Insurance and other insurance related stuff that you may not be aware of. According to RICS (the Royal Institution of Chartered Surveyors) a right to light may be acquired by ‘anyone who has had uninterrupted use of something over someone else’s land for 20 years without consent, openly and without threat, and without interruption for more than a year’. 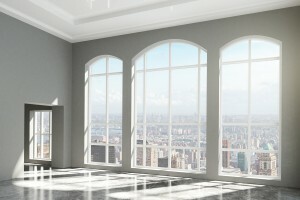 In your home, just over half the room should be lit by natural light and about half the room in a commercial building. Recent case law relating to a commercial development in the centre of Leeds (HKRUK II v Heaney) has significantly changed the perceptions of risk associated with right to light. Furthermore, the Law Commission’s recent report, Rights to Light (2014) Law Com No 356, contains recommendations that will further improve the law relating to rights to light. A Rights of Light insurance policy is there to protect the developer against claims which could have a massive impact not only on the project itself but also the developers’ bottom line! In order to obtain a quote all we will need from you will be full details of the project and sight of the Rights of Light survey (including Equivalent First Zone losses). As premiums for this type of cover can be expensive – what makes us different from most brokers offering this type of insurance is that in most cases we don’t take a commission from the insurance companies for placing Rights of Light Insurance business with them. Instead, we would rather work on a fee basis so that you can see our earnings, which we feel is more ethical, and our customer like our transparency. Whether you are the Director or Proprietor of a property developing business you can be assured of our expert advice and knowledge of this business sector. We are an award winning insurance broker, with a fantastic team of enthusiastic insurance specialists working at our offices in Tamworth. If you are new to property development or a long-time property developer you are very welcome to call in and see us, or contact us if you would like us to ring you to discuss your Right of Light Insurance.